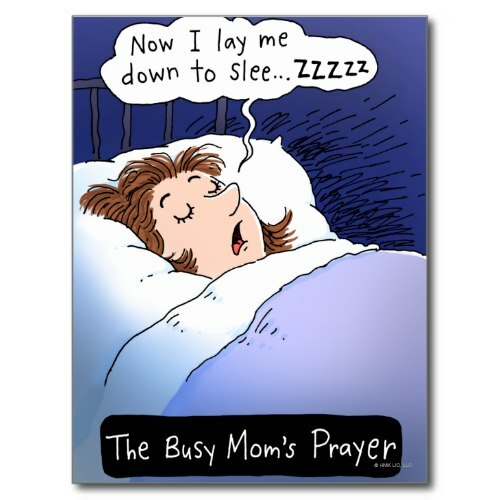 A cute, adorable, funny cartoon of a sleepy, tired, busy mom lulling herself to sleep with an unfinished prayer. Featured here on a customizable postcard. Makes a great mail to mothers everywhere. A cool postcard for mothers day, birthday, or any regular day, for your mom, grandmother, wife, sister, friend - the special moms in your life.